How to draw a moving target! This morning Freyja ran around, and I attempted to draw what she looked like. The result: a series of ridiculously cute scribbles. 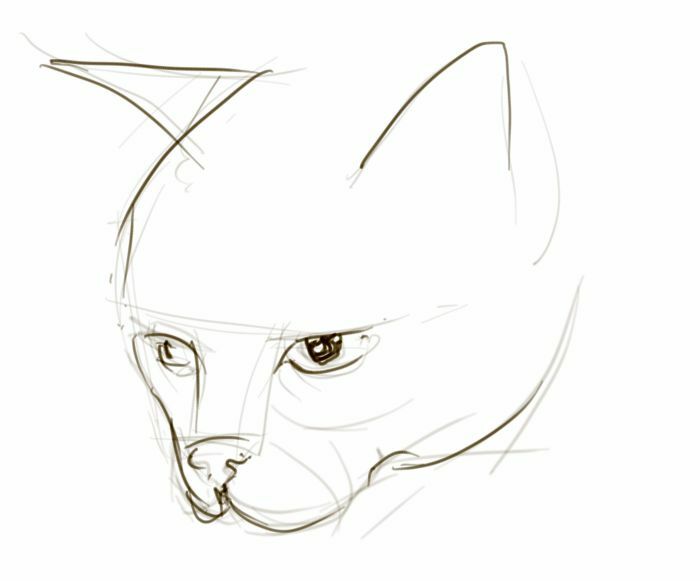 It is probably impossible to make a drawing of a kitten not look ridiculously cute, can’t be done, it’s in the proportions. On the other hand, here also is Arthur’s best Paddington Bear Stare, delivered from the safety of the dining room table. The boys still do not approve. 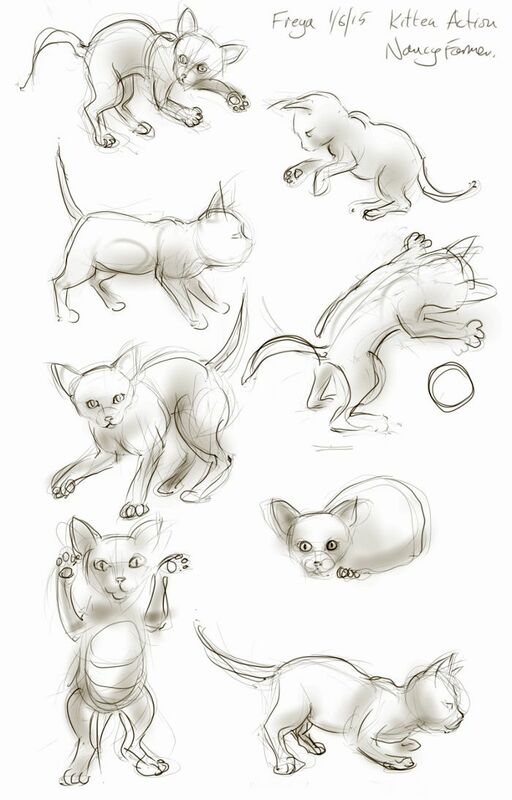 This entry was posted in Cats and tagged art, arthur cat, cat-of-the-day, digital sketch, drawing, Freyja Kitten, kitten playing, sketch on June 1, 2015 by Nancy Farmer.